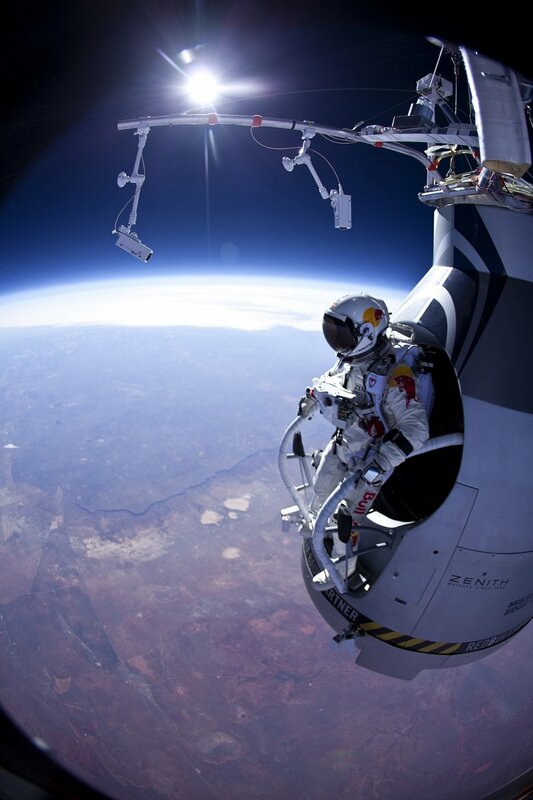 14 October 2012: At 12:08 p.m. MDT (1808 UTC) Felix Baumgartner jumped from the gondola of a helium-filled balloon at 127,852.4 feet (38,969.4 meters) over eastern New Mexico. 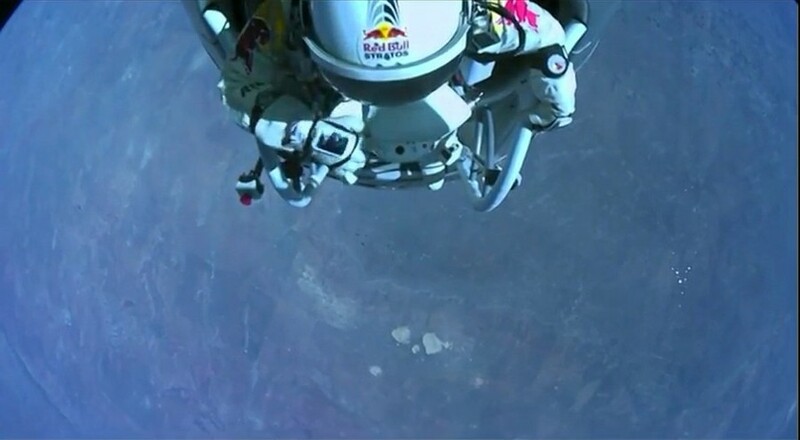 The free fall distance was 119,431.1 feet (36,402.6 meters). He fell for 4 minutes, 19 seconds before deploying his parachute and touched down after nine minutes, 3 seconds. 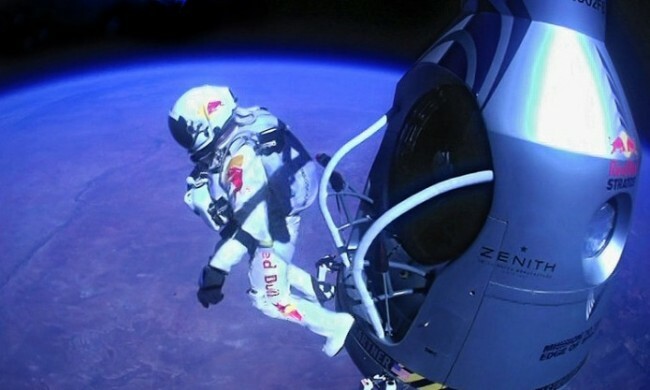 During the free fall, he reached 843.6 miles per hour (1,357.6 kilometers per hour), Mach 1.25. Felix Baumgartner wore a custom-made full-pressure suit designed and manufactured by the David Clark Co., Worcester, Massachusetts, based on their S1034 Improved Common Suit. The helium balloon, with a volume 29,470,000 cubic feet, was manufactured by Raven Aerostar, Sioux Falls, South Dakota. Baumgartner’s pressure capsule was designed and built by Sage Cheshire Aerospace, Lancaster, California.